Actively managed mutual funds rarely ever pay off as well as low-cost index funds. Channel Warren Buffett and invest in low-cost index funds instead. Excerpted from The Index Card: Why Personal Finance Doesn’t Have to Be Complicated by Helaine Olen and Harold Pollack. Out now from Portfolio. 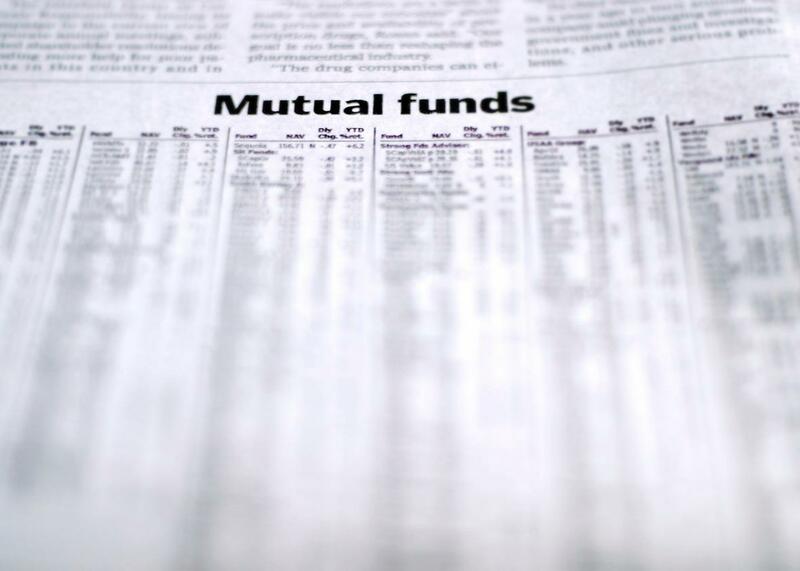 Mutual funds are, at their base, the pooled money of hundreds of thousands of investors. Most mutual funds have a professional manager who is actively involved in selecting the investments for the fund. This is called—wait for it—active management. He decides, say, that Apple is going to go up in price faster than Microsoft or that interest rates on bonds are going to suddenly rise, and he makes purchases on behalf of the fund accordingly. It certainly sounds kosher, right? The managers are professionals, after all. They’ve been doing this full time for years, often decades in fact. They aren’t—like you—poring over lists of stocks and bonds at 9:30 p.m., after a long day of work when almost anyone would rather be lying on a couch binge-watching Netflix. They aren’t surreptitiously checking an online dictionary to figure out the difference between value and growth. They are highly trained and highly paid experts on different economic sectors. T.Rowe Price - Glass Jellyfish spot from Alan Fregtman on Vimeo. How could a luminous protein in jellyfish impact life expectancy in the U.S., real estate in Hong Kong, and the optics industry in Germany? At T. Rowe Price, we understand the connections of a complex global economy. Wow—they really understand all that? Well, it would be nice to believe that. Unfortunately, that’s not so. According to a recent survey, over a five-year period more than 80 percent of domestic stock funds performed worse than the market index they were set up to surpass. The results were slightly better for funds specializing in international investments. They underperformed only more than 50 percent of the time. As if this were not enough, almost 25 percent of all mutual funds merged with others or closed entirely during this period. Why don’t they do better? Well, practically no one is successful at picking stocks over the long run. It doesn’t matter if they go on CNBC or write a newsletter or popular blog or are simply your supposedly talented cousin. You can add mutual fund manager to that list. As it turns out, being more educated or having more letters or credentials after your name or having the important-sounding job of managing a mutual fund doesn’t make anyone more immune from the pitfalls and pratfalls of investing. It doesn’t make anyone trade less or hold on to stocks longer. It doesn’t keep anyone from falling prey to investing biases. It doesn’t stop anyone from panicking or allowing overconfidence in his or her ability to sway his or her decisions. A few years ago, the now-octogenarian Warren Buffett published a letter to his two sons and one daughter saying how he thought they should invest when he was no longer here. His suggestion? “A very low-cost S&P 500 index fund.” Index funds are pegged to match a particular benchmark, and the stocks in the fund are selected and maintained to that standard. It might be the S&P 500 or the Wilshire 5000 Total Market Index. It could be a bond index like a government bond index or a high-yield one. An index fund doesn’t seek to do better than the index it is meant to replicate. On the other hand, it won’t do worse. That, it turns out, is the magic investing formula. It’s the opposite of active management. It’s passive management. Index funds also do better for their investor because the actual cost of investing in one is less than investing in a managed fund. When you invest your hard-earned money in a mutual fund or any investment for that matter, it’s not a freebie, no matter what financial salespeople claim. Think of your investment for a moment as you would a home. As with owning a house, you have to pay bills for maintenance. But instead of having the gutters cleaned and the windows washed, you pay the people running mutual funds for research, trading costs, and advertising. The management serves as a sort of contractor for the mutual fund. And like conventional contractors, some financial services companies pad the bill more than others. Index funds are the equivalent of the no-frills renovation. They don’t have to employ armies of researchers. They use computer programs to adjust the investment to stay even with the index. As a result, while the average annual fee for a managed stock mutual fund is 0.89 percent, the average fee for an equity index fund is a much more reasonable 0.12 percent. Those numbers sure don’t sound like much. It’s only a 0.77 percent difference. Well, when it comes to investing expenses, remember a corny, 1950s love song: Little things mean a lot. Let’s look at this simple example. You’re going to choose between putting a one-time $5,000 investment in one of two mutual funds. We’ll call them Strawberry and Orange. The underlying investments will grow at 6 percent annually, and you will leave it there for 30 years. The actively managed fund is Strawberry, and it charges the average fee of 0.89 percent. Orange, the index fund, charges 0.12 percent. That’s a difference of more than $5,000. And this is by no means an extreme comparison. If you look in the newspaper, you will find well-known actively managed funds that charge much more than we assume. Now, yes, if those fees produced greater and more reliable returns, they would be worth it. But they don’t. They are only enriching the financial services sector at the expense of your own bottom line. Robert Hiltonsmith, a researcher at the think tank Demos, has estimated that the average household loses $155,000 in potential gains as a result of unnecessary fees. Most of us don’t need a complicated, elaborately planned investment scheme that requires more choices and frequent changes. As the cliché goes, don’t let the perfect be the enemy of the good. There is no perfect investment scheme anyway. Don’t let anyone tell you otherwise. Excerpted from The Index Card: Why Personal Finance Doesn’t Have to Be Complicated in agreement with Portfolio, an imprint of Penguin Publishing Group, a division of Penguin Random House LLC. Copyright © Helaine Olen and Harold Pollack, 2016.